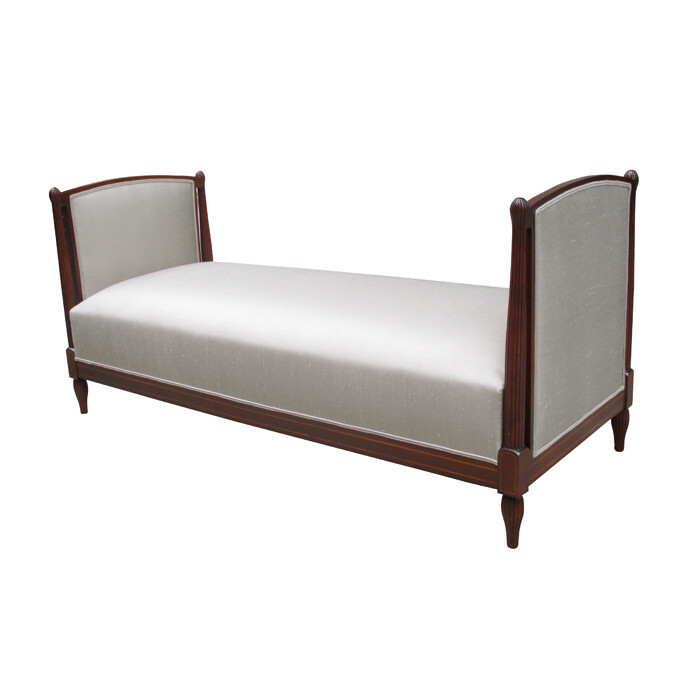 A fine Art Deco daybed. Mahogany with fluted leg details and fruitwood inlay details around the base. Dimensions: H:31½ W:66¾ D:27¼ Seat H:19 Inches.